Prepare cake mix as directed on package. Add tsp of vanilla and cup of milk. Mix well to a thin consistency. Heat a greased griddle (or skillet or crepe pan) to medium hot. Add 1/4 cup of the batter. Swirl the batter with the measuring cup so it gets thinner and bigger. 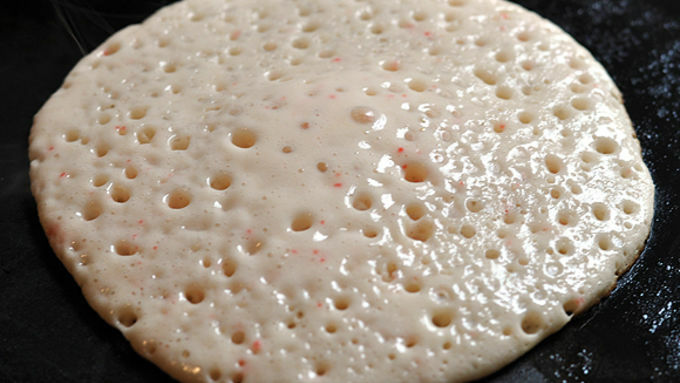 FOR PANCAKES: If making thin crepes is daunting, make pancakes instead. 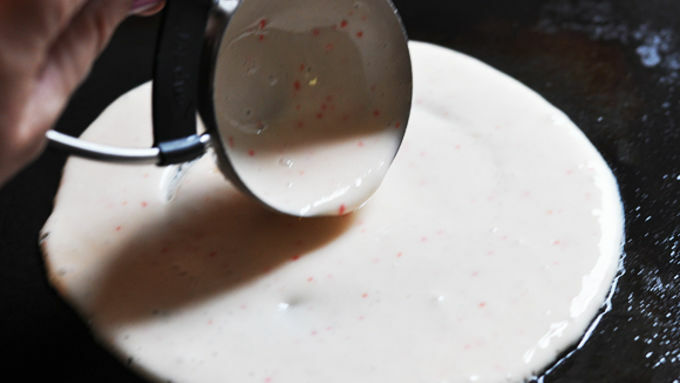 Simply pour the batter onto the griddle like making any other pancakes. (Don't swirl to thin them out.) Fry, flip and cook through. 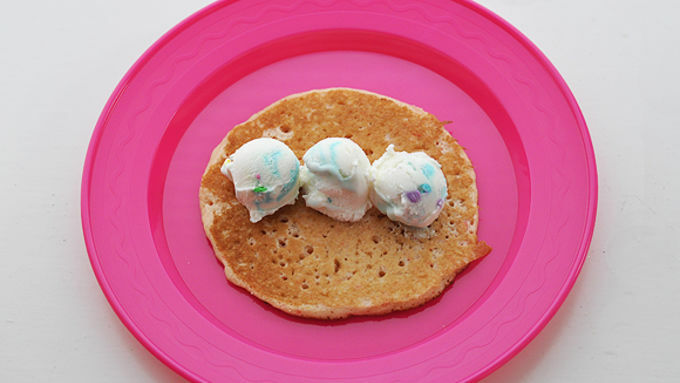 Instead of rolling, serve with ice cream and frosting on top of pancakes. In a move a bit different than making pancakes, you'll want to let the crepes cook nearly all the way before flipping them...otherwise, they'll fall apart when you flip. Using a couple of metal spatulas, gently lift and flip them. Then just a minute on the other side is all it takes. Remove to a rack to cool completely. Place a crepe onto a plate. Add little scoops of cake-flavored ice cream. Roll it up, seam side down. Don't worry if the cake cracks a bit. You'll be covering that up. Drizzle back and forth with cookie frosting, and spritz the top with cupcake frosting. The ultimate birthday cake remix! 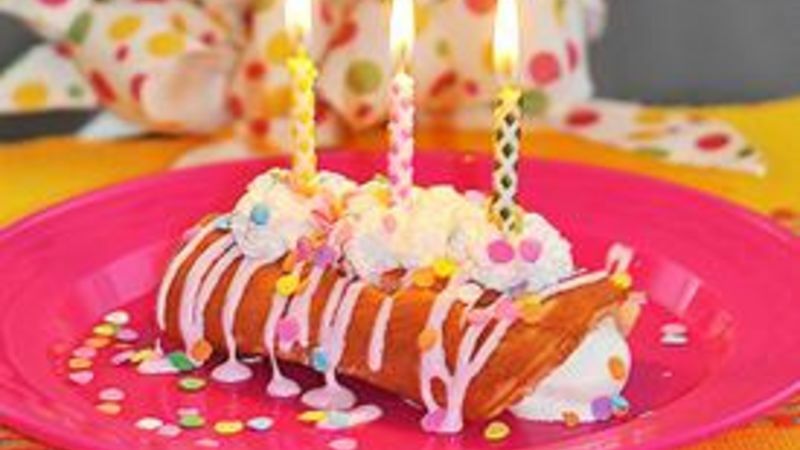 These cake-batter crepes hug ice cream centers and sport sweet frosting caps for summer birthday fun. In my fam, we have 5 birthdays between February 17 and March 13. F.I.V.E. By the time the last one rolls around, we're about as excited about another birthday cake as we are about another Monday morning. Next year, we're so gonna do this when the birthday cake boredom sets in. 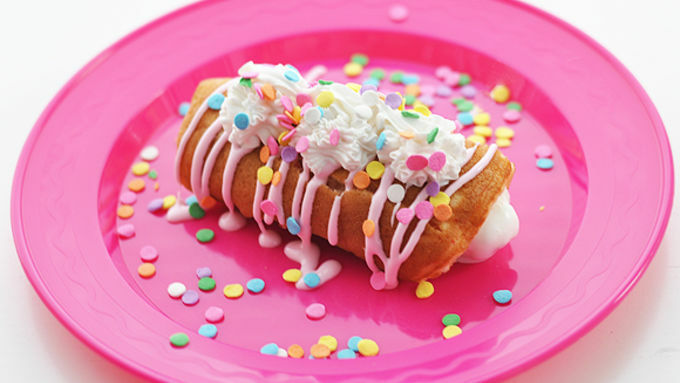 These crepes are made from thinned-down cake batter and can be made well ahead of party time. Score! 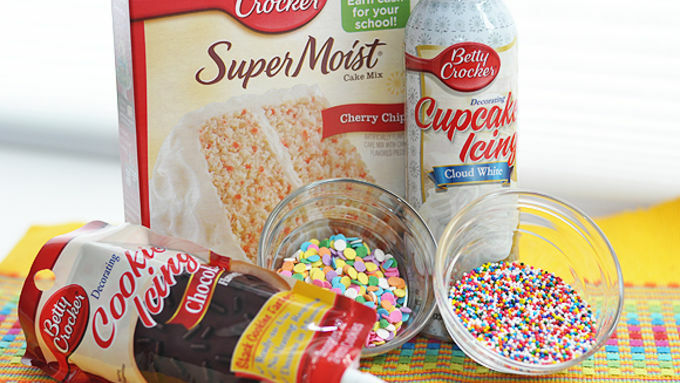 Betty Crocker™ makes it simple with cake mix (I used cherry chip, but you can use your fave flave), cupcake frosting (talk about a piece of cake to use! ), and cookie frosting (I call it drizzle magic). 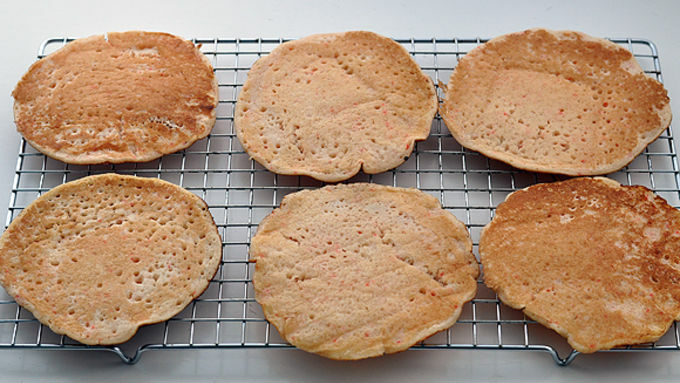 When the crepes are cool, stack them with wax paper or parchment paper separating them. Cover with plastic wrap, or store in an air-tight plastic container, until serving time. Remember -- you can do that whole part ahead of time, making this easy and fun at party time. Deck it and check it out! Never let it be said that a cake is a cake is a cake. Cuz now you know that is so not truth. Never let it be said that a cake is a cake is a cake. Cuz now you know that is so not truth. If the thought of making thin crepes gives you the heebee jeebees, just use the same batter to make pancakes instead (add the 1/4 cup batter to the griddle but don't swirl it around to thin it out). Then, instead of rolling them up, just top them with ice cream and frosting. Same nom -- just simpler! Think outside the cake, and make these fun cake batter recipes for your next party.